Denta-Gard can be worn comfortably by your patients whether they wear braces or not. It is easily adaptable to the Herbst appliance or Forsus appliance. The Denta-Gard mouthguard offers the protection you expect from a quality mouth guard. Scheduling patients is tough enough without having to fit in unscheduled visits. 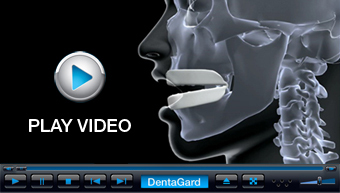 The Denta-Gard will help reduce those unscheduled visits. Your patients will find the comfortable conforming fit conducive to wear. In turn they will wear it more consistently than traditional mouth guards which results in fewer emergency visits for your practice. 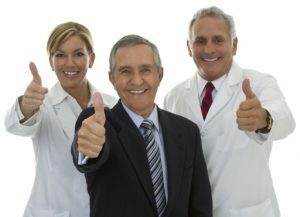 You will have peace of mind knowing your patients have the best available protection at an affordable price. Denta-Gard covers both upper and lower teeth while the natural spring hinge ensures a secure fit. The wearer can comfortably open mouth breath and speak. There is no need to boil or take impressions to mold. Denta-Gard's soft and pliable materials naturally conforms to any size arch and are latex and BPA free. During the National Athletic Trainers Association (NATA) annual conference Denta-Gard learned that many athletes tend to chew down the ends of traditional mouth guards. When wearing a chewed and diminished mouth guard, coaches and trainers are unable to detect the traditional guard is now offering inadequate protection. Patients do not tend to chew through a Denta-Gard mouthguard, because it is virtually impossible to chew through. Denta-Gards solve the chewing problem and therefore will reduce occurrence of injuries.